Database corruption is uncommon, but can occur on extremely rare occasions. When this happens, Insight will prevent access to the Insight project to prevent further corruption. The Repair operation in Data Manager will attempt to fix any issues with the project database and restore access to the project. 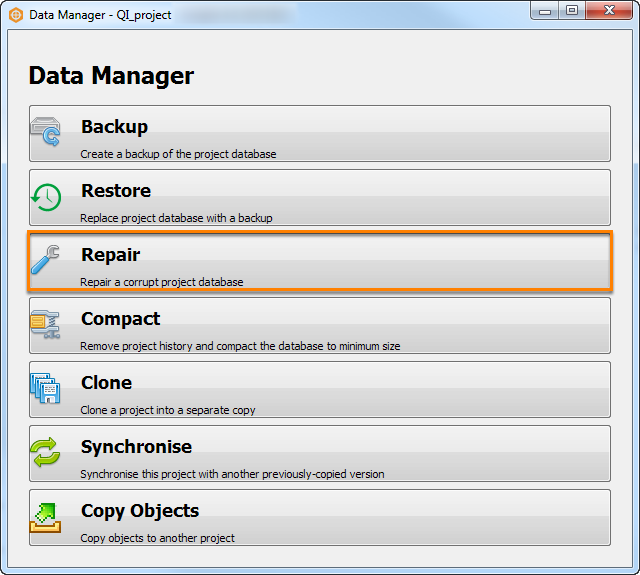 In the Data Manager window, click Repair. Note: The project you open in the Insight Launcher will be the project that you want to repair. Click Repair. The operation will validate the project database and, if found to be corrupted, attempt to repair the database. Depending on the size of the project and the severity of the corruption, the repair may take more than a few minutes. 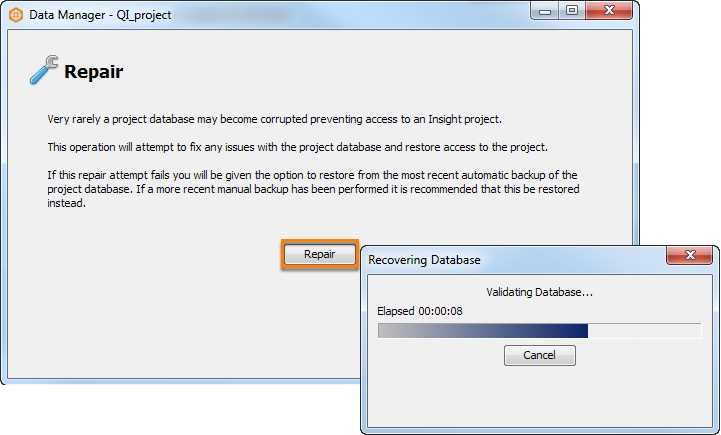 If the repair failed, you will be given an option to restore from the most recent automatic backup of the project database (see How should I backup my project?). If a more recent manual backup has been performed, it is recommended that this be restored instead. If the repair is successful, you will once again be granted access to the project database.